Maintaining your ideal weight requires a look at the full picture — calories consumed as well as your level of physical activity. We assess your current program and determine what is missing before we create a tailor made program. Creating bench marks and targets allow us to comfortably achieve your goals. I take an integrated approach to building muscle and endurance, which includes nutrition. We’ll start slow, always looking to carefully take you to the next level. I’ll increase your endurance with specific levels of intensity, incorporating weight resisting exercises as well as cardio. I’ll teach you how to exercise safely, reducing the chance of injury thereby minimizing down-time. That way you can get the most out of your workout and achieve your fitness goals sooner. The 4 C’s - Conditioning, Consumption, Customization and Confidence are the cornerstones of The Total Fit & Rehab philosophy and programs. CONSUMPTION: A unique and individualized dietary program, tailor made for each client. A Food program, rather than a “diet”, our goal is to get you healthier and looking well. Consistency with your food intake is the answer to successful weight loss and a healthier lifestyle. Each individual has his/her own rate of metabolism. When exercise is coupled with proper food consumption, metabolic activity will be improved. Improvement comes from a better quality fuel source used in the appropriate amounts at the appropriate time. CONDITIONING: Exercise is essential for optimal quality of life. An adaptive process, exercise training is personalized in order to achieve maximum effectiveness. As our clients improve their conditioning, the program is tweaked and modified. The benefits of training are numerous with a complete aerobic and anaerobic program at its core. Decreased blood pressure, improved cholesterol, maximization of oxygen consumption, increased bone density, improved endurance, improved performance, lower risk of musculoskeletal injury and an elevated metabolism will be achieved. CUSTOMIZATION: There is no cookie cutter approach. Our team assesses each client to determine their specific needs and creates a results orient plan. CONFIDENCE: One’s self-esteem is improved through continued long-term successes. We all have stressors in our lives. Success, both personal and professional, can continually weigh on us. As a result, we are always hard at work, trying to get ahead. Taking the time to invest in one’s health is a necessity for longevity and achieving life’s goals. We aim to improve your physical and mental fitness so that you are able to live your life to its fullest. This aspect of our practice involves the physical restoration of a particular body part, joint or muscle group using specific techniques and exercises to improve function, mobility and eliminate pain. When working with clients, the focus is on the mechanics of the body and entails evaluating each area from the head down to the toes, gathering information to best determine the root cause of the problem. Once the cause is determined, a plan of action can be implemented. No two clients are alike and pain can be elusive. When dealing with back pain, we know that the root might be another mechanical problem, such as the glutes or abdominals. Sports Injuries refers to injuries that most commonly occur during sports or exercise. Causes include improper training, wrong equipment, lack of conditioning or insufficient warm-up and stretching. From NFL players to weekend warriors and first time marathon participants, we educate all of our clients on proper body mechanics and the best ways to avoid injuries during training or exercise. Nutrition is the internal processing (metabolism) of foods and includes ingestion, digestion, absorption, digestion and elimination of foods. Dietary – Classifies calories as nutrients (energy) in a food source. When working with clients on consumption of foods, both the nutrition and dietary side of food intake are taken into consideration. Each item of food is documented, from breakfast to the last evening snack. Our intake forms form a matrix and from this information, we are able to create a reasonable, personalized plan. We identify areas in the body, that are out of alignment, over working, or not firing properly. This analysis starts with looking at the problem area, going through the whole body and focusing on why this issue is occurring. Fascia is the connective tissue which envelopes muscles and is prone to restriction through overuse, trauma and inactivity. This results in pain, muscle tension and decreased blood flow, all of which is necessary for healing. Deep tissue work (myofascial release) works by applying direct pressure – using thumbs, knuckles and elbows – to the myofascial restrictive barrier until tissue release occurs. Blood is then able to return to the muscle or joint and edema is released. Recently a new client came to the studio, hardly able to walk due to arthritis. Through exercises and myofascial release he’s now running on a treadmill during his sessions. Myofascial release can be used to support some serious injuries and ailments including arthritis but is just as effective and releasing back and neck pain, relieving headaches and even decreasing overall stress and anxiety by allowing the body to relax. Acupressure is another bodywork modality practiced at Total Fit & Rehab. Much like acupuncture, in that it uses the same meridians, or body chart, as acupuncture, this modality relies on pressure applied with the hands rather than needles. By activating particular points in the body, acupressure can increase circulation, vitality, energy and joint mobility. It can be a very effective approach for back and neck pain, headaches and joint pain. 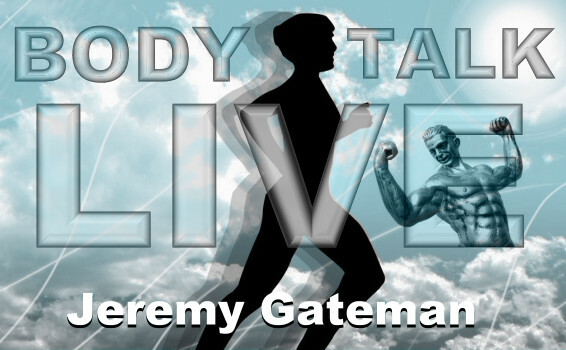 Body Talk Live, July 12, 2018 Jeremy Gateman and Robin Popp with guests Megan Sewards and then David, the man on the street. Body Talk Live, June 21, 2018 Jeremy Gateman and Robin Popp with guest David, the man on the street. Body Talk Live, June 14, 2018 Jeremy Gateman and Robin Popp with guests Storm Roberts and David, the man on the street. RESULTS ORIENTED JEREMY GATEMAN, has been in physical rehab since 1998, working with spinal issues, joint injuries and nutrition. 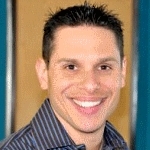 He is certified in Acupressure, Herbology and Kinesio taping and has worked with the UCLA football team for two seasons. An active triathlete, Gateman understands the ups and downs of joint and muscle pains and works on himself and his clients to insure proper body mechanics, to reduce further body issues. A supporter of his community, Jeremy has been commended by the City of Los Angeles and works with many charities, including Wags and Walks Animal Rescue and the Hirschberg Foundation for Pancreatic Cancer.